Sophie de Boer (Kalas-H.Essers-NNOF) won the Women’s race at the 2016 CrossVegas World Cup in a nail-biter three-up sprint aboard an unlabelled bike. 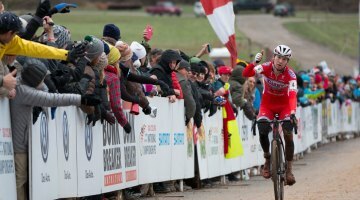 The Dutch racer has since returned to Europe, continuing her strong season with a win at the Soudal Classics stop in Neeerpelt and a third this past weekend at the IJsboerke Ladies Trophy Race #1 in Ronse. Although de Boer is no stranger to top podiums, her unmarked bike seemed to be. After interviewing de Boer after her CrossVegas win, we got a closer inspection of the bike as the team mechanic was preparing to put it into the truck for transportation to Iowa for Jingle Cross. The mechanic let us take photos of the bike, but had little to say about it, and seemed to know little about its history or pedigree. 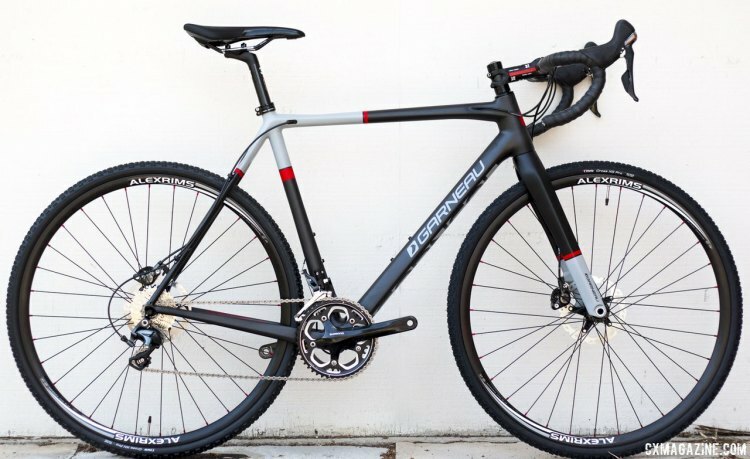 Leave it to Cyclocross Magazine to find out the details, as we did for today’s unique addition to our Pro Bike Profiles. 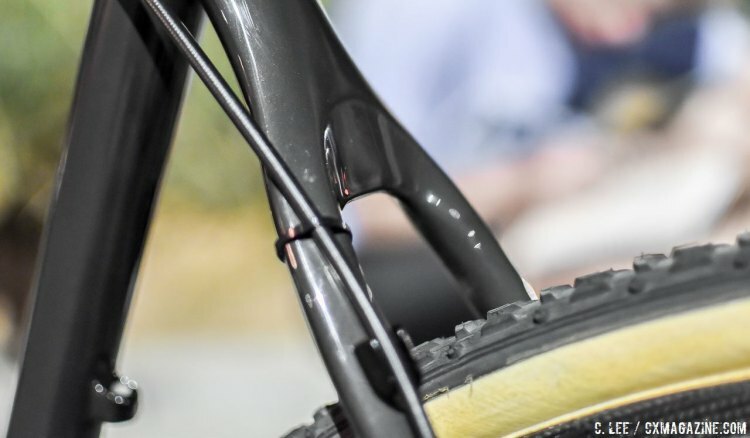 The bike geeks at Cyclocross Magazine have tested plenty of cyclocross frames over the years, and we instantly spotted the telltale features of the frame that gave away much about its complicated history, revealing much more than what the CrossVegas World Cup winner and her team knew. It’s not the first time we’ve profiled a mystery winning bike, but Jonathan Page’s 2013 Nationals-winning bike was much more obvious. 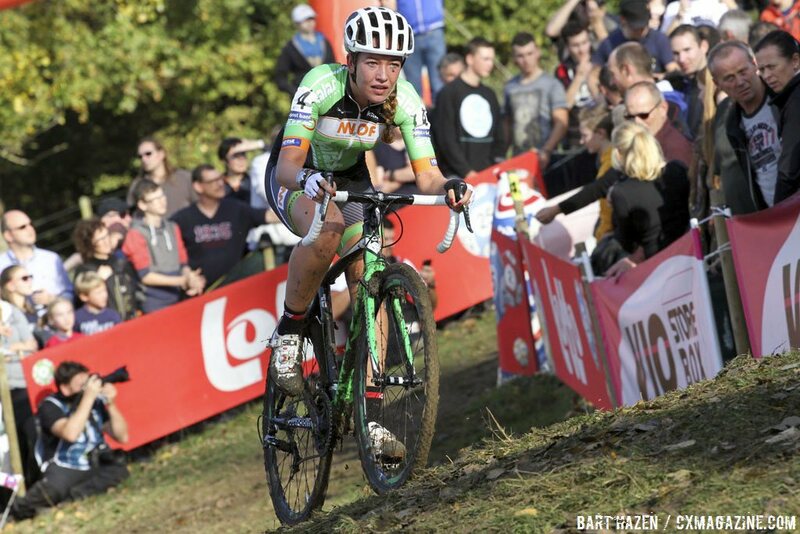 Last year, de Boer was seen riding a Wilier, while the previous year she was on a Guerciotti, similar to Elle Anderson’s Lembeek cyclocross bike when they were teammates (stock model reviewed here). This frame is from neither of those companies. The unmarked frame is full carbon, as is the fork, but it seems they were not quite a matching pair originally. The carbon fork has gently curved blades with a flat mount for the disc brake caliper, but the frame has an IS caliper mount on the seatstay, pointing backwards, with an adaptor for a 140mm rotor. The plain metallic dark toupe colored frame further has internal control line routing, though the openings have darker paint around them almost as if bodywork was done to add them after the original paint. 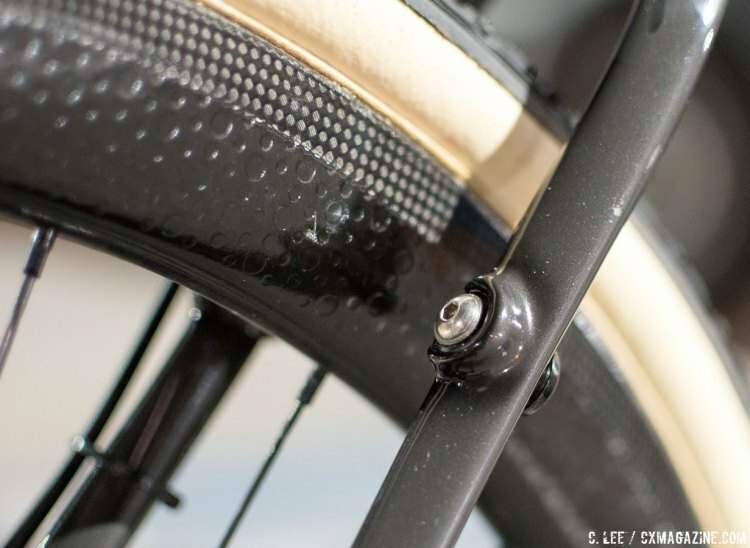 The rear brake control line is zip-tied to the rear seatstay after it exits the top tube. There is also a cable stop on the back of the seat tube with a pulley mount for a bottom pull front derailleur, a common set-up until just recently. 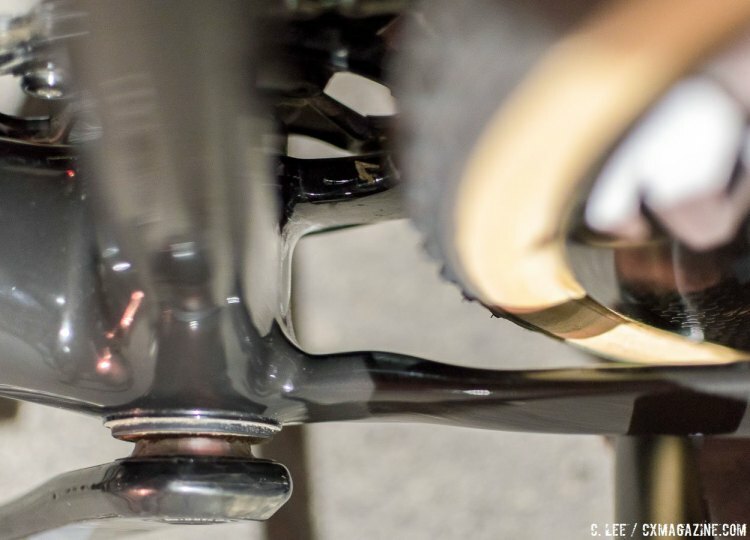 There is no chainstay bridge, giving massive mud clearance behind the BB86 bottom bracket shell, allowing plenty of room around de Boer’s 33 Dugast tire, or accepting a much wider, high-volume tire—not that she would need either in Vegas—but she would need the mud clearance in Iowa City. Massive mud clearance behind the BB86 shell. 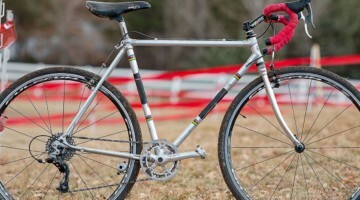 It’s this chainstay/bottom bracket junction that was a dead giveaway as to the frame’s origins, and it turned out, much to our surprise that Cyclocross Magazine had a minor role in de Boer’s CrossVegas-winning frame’s design and a major role in the frame’s mud clearance. We’re also guessing not in a million years did Southern California’s John Bailey expect that one of his frames would be winning a UCI Cyclocross World Cup one day, let alone in the States. 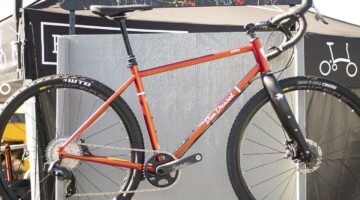 A small Southern California bike company’s frame ridden by a Dutch cyclocross star? In a convoluted way, it’s true. 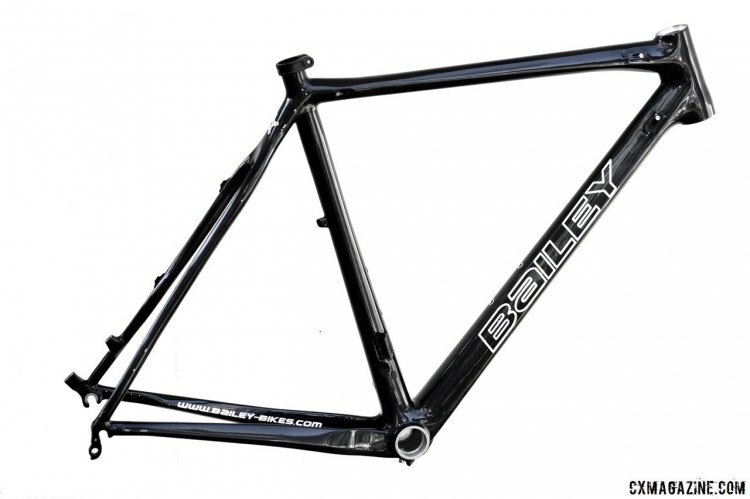 In 2012, the small Bailey Bikes company had us test an early version of its Cyclocross Disc frameset, and although we were largely impressed, we had one major complaint: the chainstay bridge ruined what would have otherwise been massive tire clearance. John Bailey went back to the drawing board, re-engineered the area and came back with best-in-class tire clearance behind the bottom bracket. We were pleased if not biased with the second iteration, and awarded the new frame an Editors’ Choice award for the 2013/14 season. Fast forward a year, and Bailey was focused less on selling bikes, while his factory was looking to fully monetize their molds. At Interbike 2014, we saw a Louis Garneau Steeple XC that looked to be the same frame with a different fork. 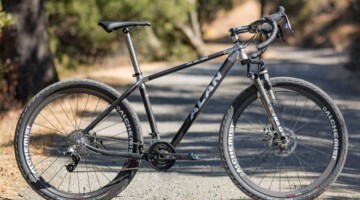 We later reviewed and loved the bike in gravel events due to its fat tire clearance out back. Later, at NAHBS 2015, we saw the same frame dressed up as the Alan Cross Race Max in catalogues and later in a Velo Sports Import booth and eventually on Excel Sports’ website. 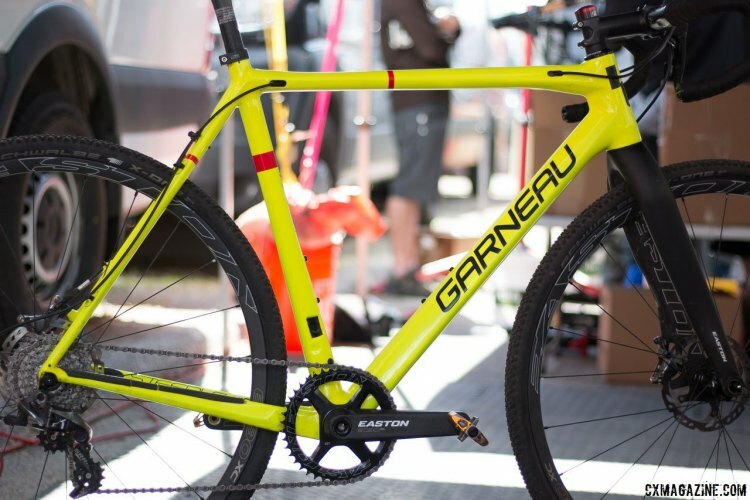 It was clear that even without Bailey’s blessing, the factory was finding customers for his frame design, and that professional cyclocross racers, including those from the Louis Garneau/Easton/Red Truck team, were also finding the frame to their liking. Although we’ve seen the frame in no less than five iterations previously, de Boer’s frame has one unique feature: the option to run cantilevers. 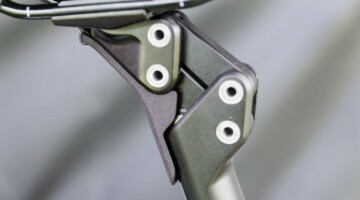 The modification of adding optional studs looks to have been added without any additional reinforcement at the seatstays. In Vegas, the canti studs were unused in favor of the hydraulic Force 1 HydroR disc calipers. Although Alan and Louis Garneau have now moved away from the frame to meet the current market’s demand for thru axles, many professional cyclocross racers are still using quick release wheels, as is de Boer, at least out back. This frame has 135mm QR dropouts, and is filled with a Zipp 303 Firecrest wheel with Dugast 33 Typhoon tires, a popular choice for the night. The fork, on the other hand, is thru axle, though we did not remove it to know if it is 15mm or 12mm. A matching Zipp 303 with Dugast Typhoon in on the front. 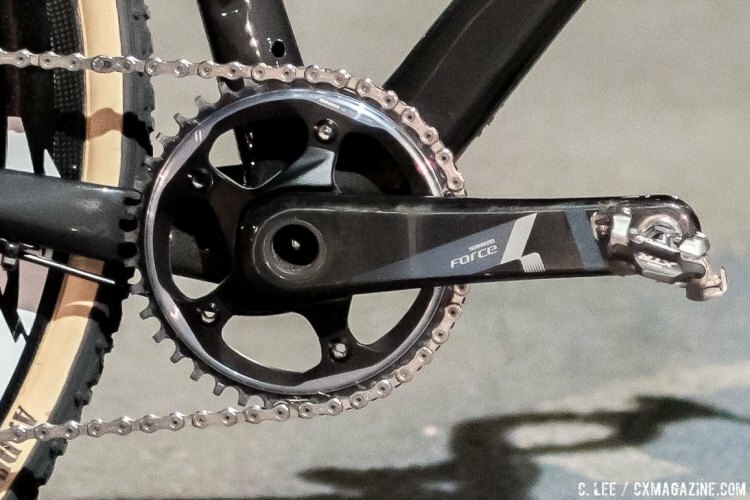 De Boer’s drivetrain is a complete SRAM Force 1 HDR group with a 40t X-Sync wide/narrow chainring paired with a 11-32 cassette. The other components are Zipp Service Course SL alloy, with the 27.2mm post topped with a Prologo saddle. 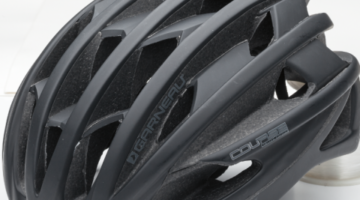 The one detail we extracted from the de Boer camp was that they thought the frame was a prototype to a present production European brand disc ’cross bike. This is somewhat accurate in that the Italian brand Alan offered the frame at least for 2016. 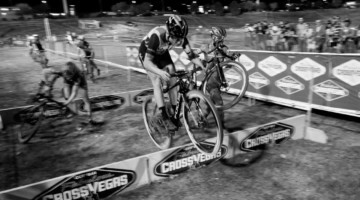 From Southern California to Cyclocross Magazine’s offices to Asia to the Netherlands to Vegas, the frame had quite a journey to the top of the 2016 Cross Vegas World Cup podium. See more photos of de Boer’s bike in the photo gallery below the specs. 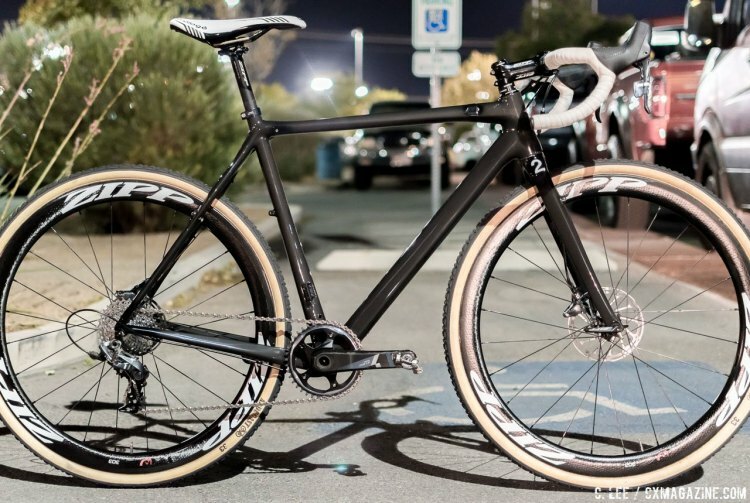 See more CrossVegas coverage here, and other Pro Bike Profiles, including Wout van Aert and Katie Compton’s bikes here. Clifford Lee and Andrew Yee contributed to this profile. Frame: Bailey / Louis Garneau / Alan carbon, unlabelled, with cantilever bosses added, IS rear disc mount, provision for FD pulley, 135mm QR, BB86 bottom bracket shell. 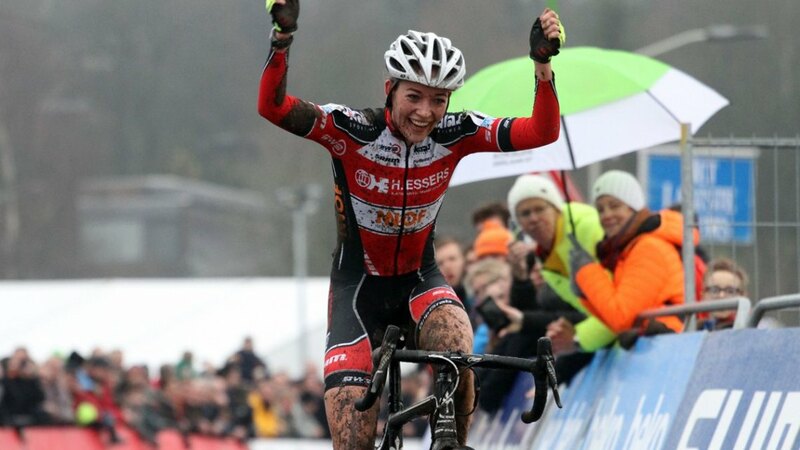 Doesn’t her team, Kalas-H.Essers-NNOF, ride Wilier? Curious. Yeah, that’s mentioned in the piece, she rode Wilier and Guerciotti before that. Where can one get this frame today (end of 2016 / beginning of 2017)?